A Tunisian-French national rammed his truck through a crowd of revelers celebrating Bastille Day on July 14 in Nice, France, killing 84 people—including 10 children—and wounding around 200. 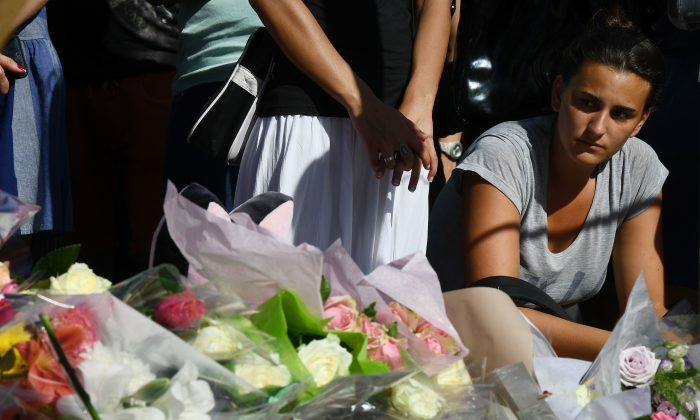 Mohamed Bouhlel was identified as the driver of the truck before he was killed by police, according to the Nice-Matin newspaper. The 31-year-old had no known ties to any terrorist groups nor has anyone confirmed his allegiance. French President Francois Hollande denounced the assault on the country and acknowledged the outpouring of support from the international community. “The whole world is watching us and expressing its solidarity. The world is thinking of us,” he said, according to The Guardian. Celebrities have taken to social media to express grief and unity. Rihanna, who was in Nice readying for a concert on July 15, posted a photo of the French flag encapsulated in a heart on her Instagram page. The cast and crew of “Fifty Shades Freed”—the third in the “Fifty Shades” franchise—have been filming in southern France. All are confirmed to be safe following the attack, according to movie producer Dana Brunetti. Toutes mes pensées vont aux victimes et à leurs familles….